Wed., 24 Apr. - Wed., 30 Oct. Tue., 4 Feb. - Sat., 8 Feb. Sun., 8 Dec. - Tue., 17 Dec. Sun., 4 Aug. - Mon., 5 Aug.
See all 684 properties in Princess Juliana Intl. Nestled on the beach, this Simpson Bay hotel is 1.1 mi (1.8 km) from Kim Sha Beach and 2.8 mi (4.4 km) from Maho Beach. Paradise Plaza and Hollywood Casino are also within 2 mi (3 km). 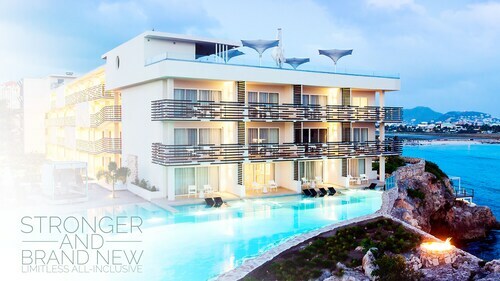 Situated in Maho Reef, this all-inclusive property is steps from Casino Royale and Maho Beach. American University of the Caribbean is 1.1 mi (1.8 km) away. 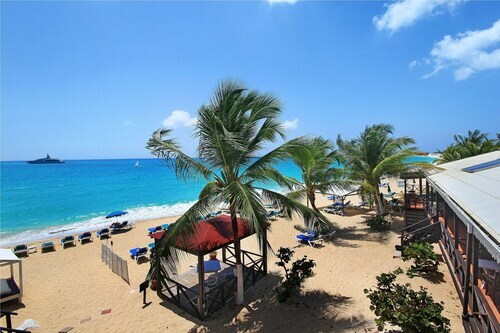 This southwest-coast Sint Maarten resort facing Maho Bay features a 137-meter (150-yard) beach along the Caribbean Sea. Airport nearby. Simpson Bay Beach Resort and Marina is in a protected cove on St. Maarten’s southwest shores, a 15-minute drive from Philipsburg, the capital. For white sands, Kim Sha Beach is an 8-minute walk away. Onsite outfitter Aqua Mania Adventures organizes snorkeling and scuba diving excursions. 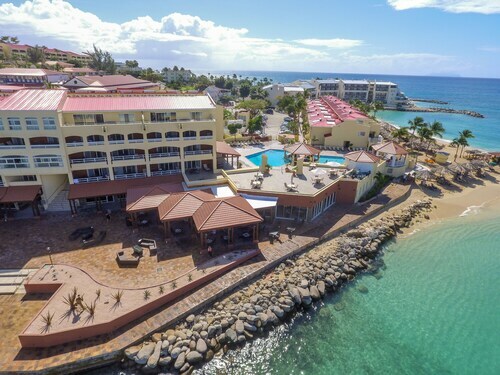 Nestled on the beach, this Simpson Bay hotel is within a 10-minute walk of Dunes Casino and Maho Beach. American University of the Caribbean is 1.8 mi (3 km) away. 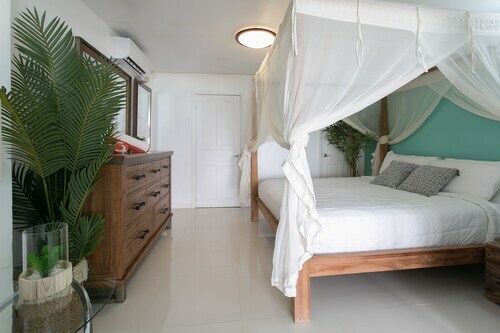 This family-friendly Nettle Bay hotel is located on the waterfront, within 1 mi (2 km) of Mercure Beach and Red Bay Beach. Marigot Market and St. Martin Tourist Office are also within 3 mi (5 km). 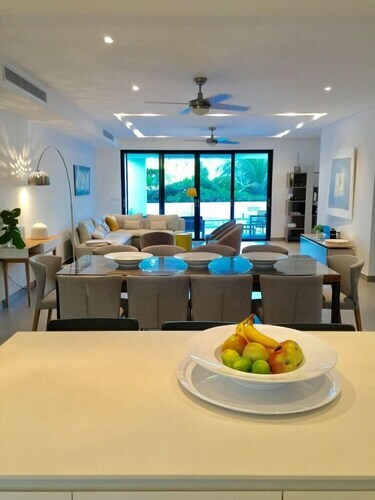 Situated on the beach, this historic condo building is within a 10-minute walk of Dunes Casino and Maho Beach. American University of the Caribbean is 1.9 mi (3.1 km) away. 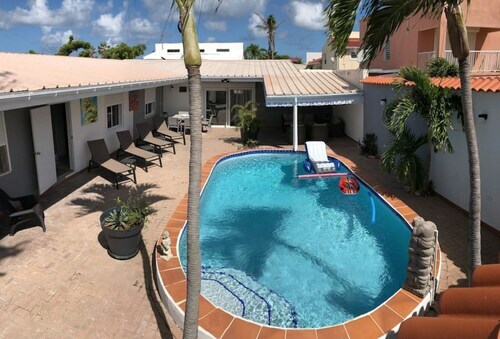 Situated in Simpson Bay, this villa is close to Dunes Casino, Maho Beach, and American University of the Caribbean. Also nearby are Casino Royale and Mullet Bay Golf. Question : How much time do people spend in Sint Maarten? Answer : The average time spent in Sint Maarten by travellers from Montreal is eight days. Question : How much is a plane ticket to Sint Maarten (SXM) from Montreal (YUL)? Answer : Cost can range from $451 to $1,001, prices for YUL to SXM fluctuate less than the majority of routes from Canada. Don't forget, you can save by booking further in advance. Answer : The cheapest day to fly from Montreal to Sint Maarten is on Sunday. So, if you would like to save a little cash on your next getaway look for flights on Sunday. Answer : You sure can change your departure or arrival date and you may save money by changing when you take off. The lowest-cost day to fly in April is Sunday. Flexibility is key when booking travel plans in order to keep costs down. Question : How long is the flight from YUL to SXM? Answer : This direct flight will take you away to your destination in four hours and 20 minutes via Air Transat. If you catch the 6:45 AM EDT departure, you'll arrive at 12:05 PM AST. You'll have plenty of time to grab a quick meal before your upcoming rendezvous (remember, there is a time change of one hour). Question : How many flights are there per day from Montreal to Sint Maarten? Answer : The number of flight times varies by day of the week, but on average, YUL to SXM sees only one choice. That is lower than the national average of six. Question : What is the cheapest airline flying from Montreal to Sint Maarten? Answer : American Airlines strives to keep costs down for their passengers over the next three months. Fares are being booked at just $451, which is a steal when compared to the high-end bookings of $1,001.